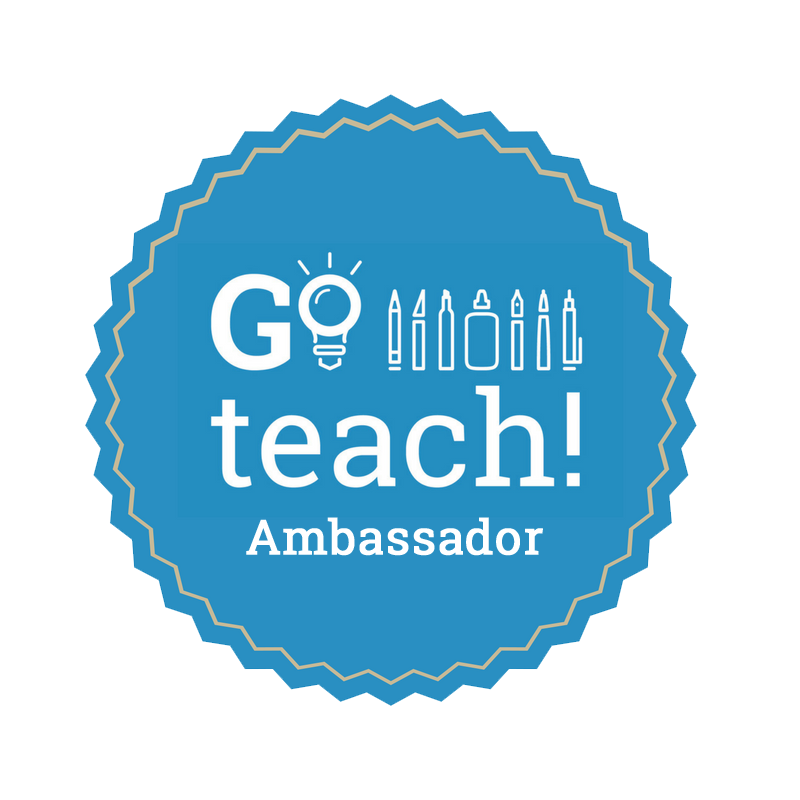 Go teach!, formerly The Elmer's Teacher Club, is an amazingly loud and incredibly proud new community created to inspire, empower, motivate and support educators like YOU! 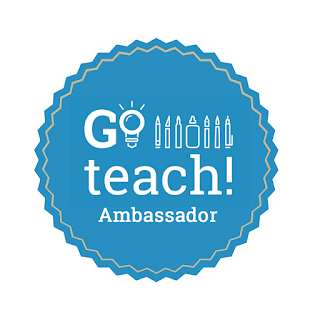 Join me and other teachers in this community by visiting the Go teach! Facebook page! Hello teacher friends! It’s almost that time of the year…back to school! Soon, our classrooms will have new, smiling faces, our empty bulletin boards will be filled with student work, and our cupboards will be bursting with new school supplies! Unfortunately, there are students who do not find any part of back to school calming. To them, it might be downright stressful. The idea of a completely new routine, new people, and new concepts to learn can be very anxiety- producing for our little ones. 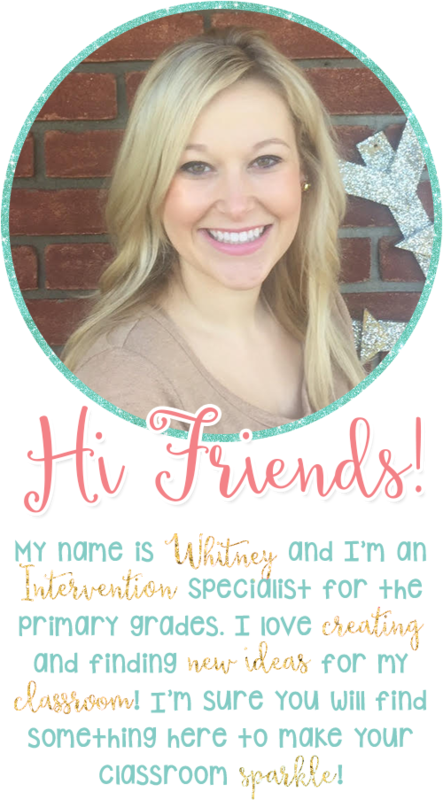 Being an intervention specialist in the primary grades, many of my students struggle with feelings of anxiety. For example, students with autism can feel anxious about changes in their routine. Students with learning disabilities may compare themselves to their peers, which can cause anxiety in an academic setting. You may also find that students with no diagnosis may feel anxiety as well. Because anxiety in children is becoming more prevalent, and can be detrimental to student learning, it is crucial for us as teachers to address this. 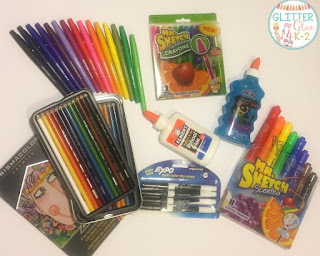 In this post, I am going to show you some ways to use those precious school supplies to make calming tools for your even more precious students! 1. Use your Expo Markers for checklists. For many students, anxiety can stem from the uncertainty of a new routine. If you have students who have anxiety regarding certain tasks or moments in the day, create a simple checklist for them and laminate it. If students can visually see what is expected of them and what is coming next, it can help to reduce some anxiety. As students complete the tasks on the checklist, they can check them off with their Expo Marker. Best of all, when you use an Expo Marker on a laminated checklist, students can use it again and again! Grab a free and editable version of what I used by clicking here! Grab these free and editable checklists by clicking the link above. Perfect for EXPO Markers! One of my favorite tools to help with anxiety is a calm down bottle! 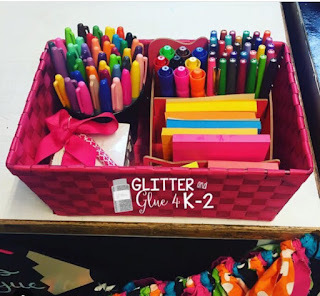 They are bright, beautiful, and filled with one of my favorite things… glitter! Best of all, you can easily make one in your own kitchen! Calm down bottles are a great break for students who are feeling anxious. Students just shake up the bottle and watch the glitter settle. It is a great little “time out” from an anxiety-producing situation. Fill your water bottle about ¾ of the way full with warm water. Warm water will help the glitter glue separate. Add about 3-4 drops of food coloring. You can always add more or less depending on the size of your water bottle, or how dark or light you want the color to be. Squeeze about half of the bottle of Elmer’s glitter glue into the bottle. Again, you can always add more or less, depending on what you want. Grab your funnel and sprinkle in some loose glitter. Put the lid on tight! You may even want to add some hot glue to the lid to make sure it doesn’t come off when your students shake it. I always do this because the last thing I need is a neon-glitter concoction all over my students, classroom, and self. Once you have finished this, you can add it to your classroom or even a small box filled with other calming tools. I like to even add small labels with directions to remind students of what to do. I love calm down bottles so much that my students and I have made them together! Click here to see more! coloring pictures can be a simple tool to add. Or, you can tuck them away in a folder. 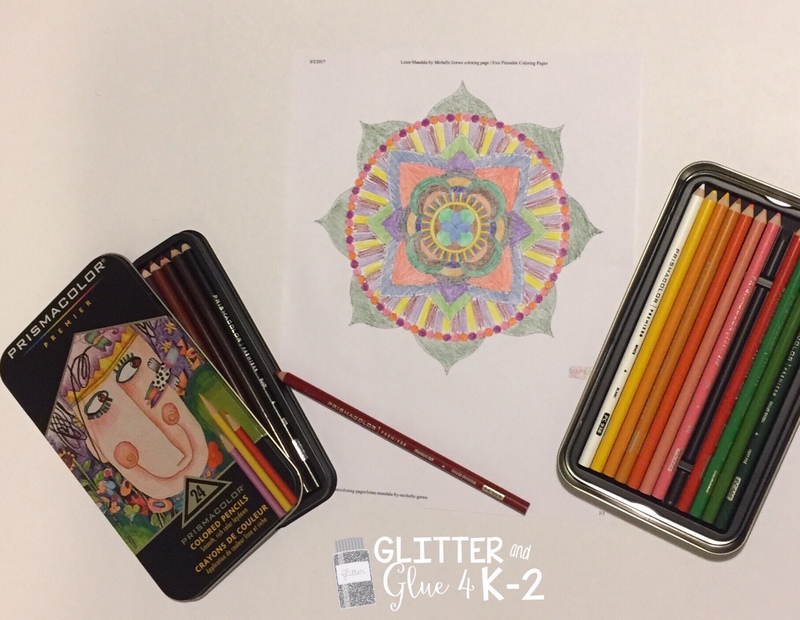 Many students find it calming to color pictures like mandalas or simple shapes. It can be a great break for students that are feeling stressed out over work completion! If you teach little ones, they will just love to color with these scented Mr. Sketch markers or crayons! Seriously, Mr. Sketch is how I won over one of my students who refused to work independently. If you work with older students, try these Prismacolor colored pencils on a calming picture! Lotus Mandala by Michelle Grewe coloring page. Get it here! I know there are many teachers who are sick and tired of the slime! Luckily, this was a trend that didn't make it so my school. If you are OK with using it in your classroom, slime can be a great fidget tool for students who have anxiety! First you will need to get your supplies! You will need Elmer's School Glue. I like to use the glitter glue (if you couldn't tell from my blog name I reaaaaalllyy like glitter). You will also need contact solution. I like to use the Target brand because it is inexpensive and I like any excuse to go to Target. ;) Just make sure the contact solution that you use has borate or boric acid in the ingredients. Finally, you need Baking Soda. Step 1: Squeeze the entire bottle of Elmer's Glue into a mixing bowl. Step 2: Add 1/2 tablespoon of baking soda to the bowl. Step 3: Add 1/4 tablespoon of the contact solution to the bowl. Step 4: Stir up all of the ingredients until it is evenly mixed. 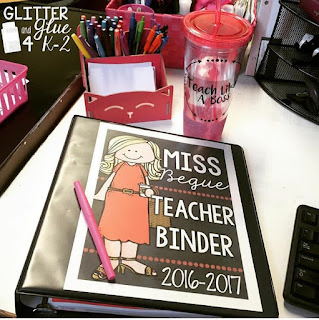 Teacher friends… I didn’t forget about you! Back to school time can be very stressful on us, too! There is so much to do in your classroom on top of all those meetings! Every year before I head back to school, I always buy myself some special supplies! I absolutely love my Paper Mate Flair Pens! They can brighten up your grading and make some of your note-taking during staff meetings a little more cheerful! Paper Mate Flair Pens are part of my staff meeting necessities! Sharpies, Inkjoy, Paper Mate Flair Pens, and Mr. Sketch make me one happy teacher! 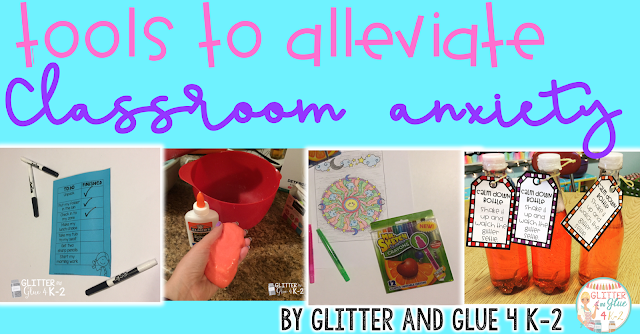 Hope some of these suggestions can help to relieve some of your students’ anxiety! Please note, depending on each individual student's need, not all of these suggestions may work for him or her. For example, a student may not like the texture of the slime or the scent of a certain marker. However, I’m sure some of these tips will work for your students! What tips do you have? I would love to hear about them in the comments! Have a great school year and happy teaching! Good work! You have done fantastic job in your work.All of your work is showing that you have good ans creative mind and you did very good work. I also tried most if your work at home and always got satisfactory result.